The third INVENT outreach programme took place at Kalyani Govt Engineering College (KGEC) auditorium on Friday, November 11, 2016. 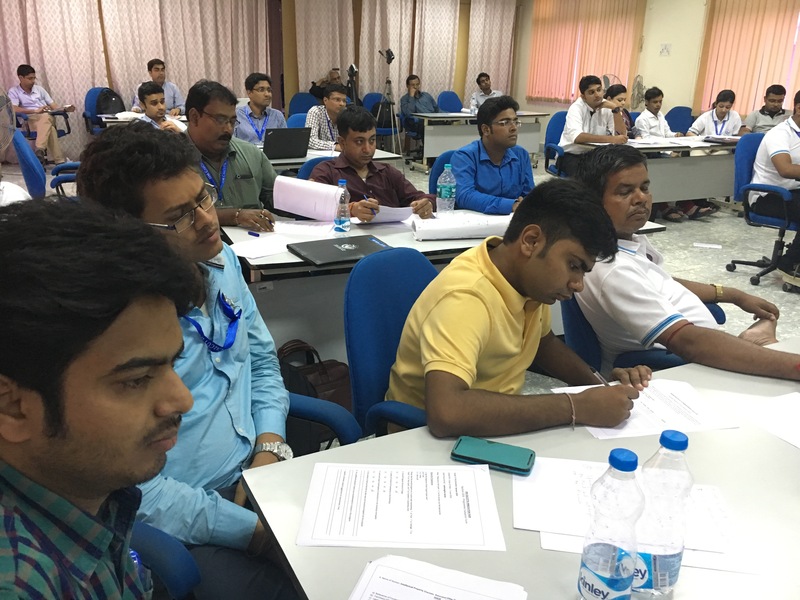 There were about 120 participants comprising final year students, Faculties and research associates from different colleges of Nadia District, West Bengal and also 5 entrepreneurs from the same district. The College administration, faculty and the E-cell team supported the event with lot of enthusiasm and whole-hearted co-operation. Prof K Chakraborty, Principal of KGEC, welcomed all the students and delegates and set the context through a short, inspiring speech. 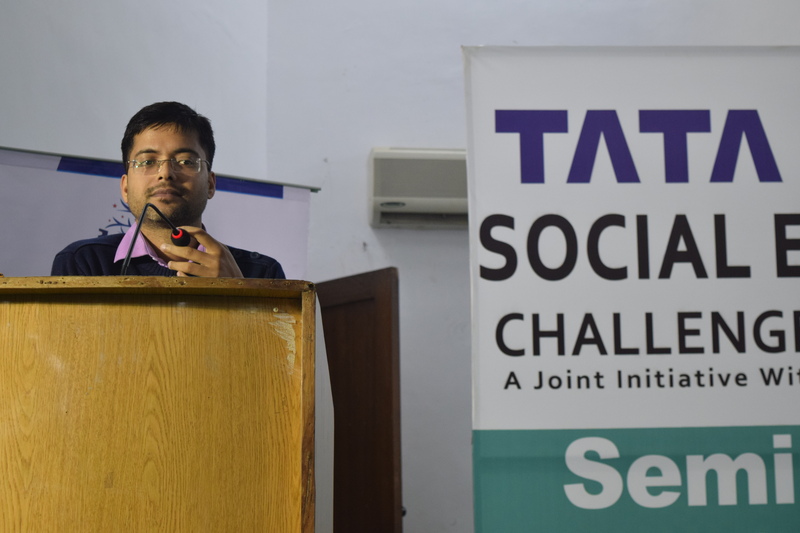 Mr Soujit Das , from IIMCIP explained the audience the objective of INVENT program and threw light on various aspects of Social Entrepreneurship. 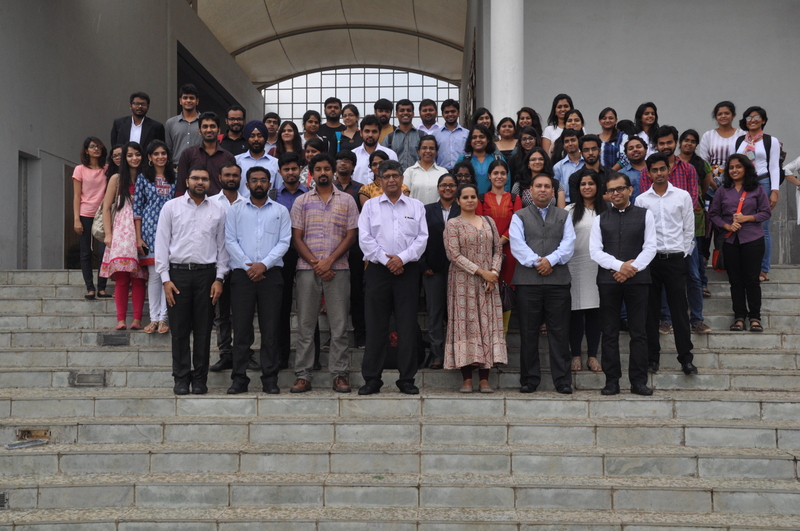 Mr. Debapratim Das from IIMCIP took the session on “Ideation & Creating Business Plan” for the budding entrepreneurs. The audience actively participated in the interactive session by Mr Suman Mukhopadhyay of Bangla Natok.Com on the topic “Support Ecosystem by Start ups “. This was followed by a 30-min Q&A session. 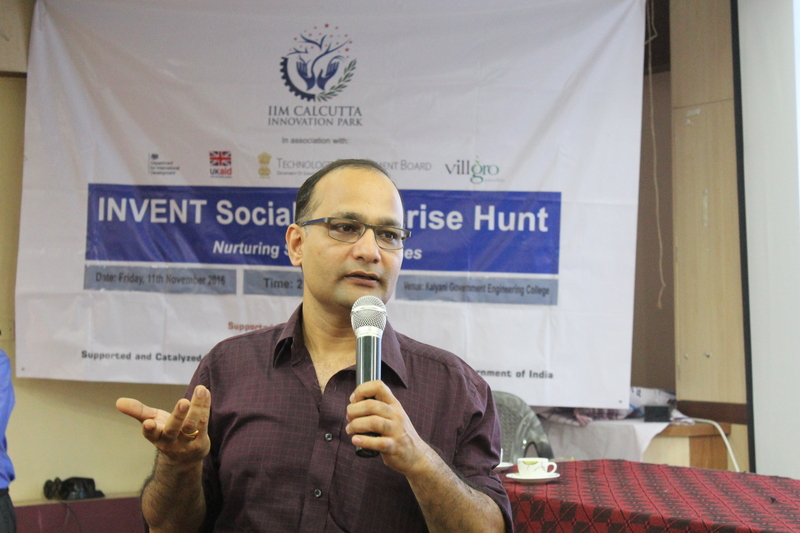 First Outreach event of Invent took place at Howrah, a traditional SME hub of West Bengal. MCKV Engineering College, a reputed institution that encourages entrepreneurship among the students, was chosen as the venue. 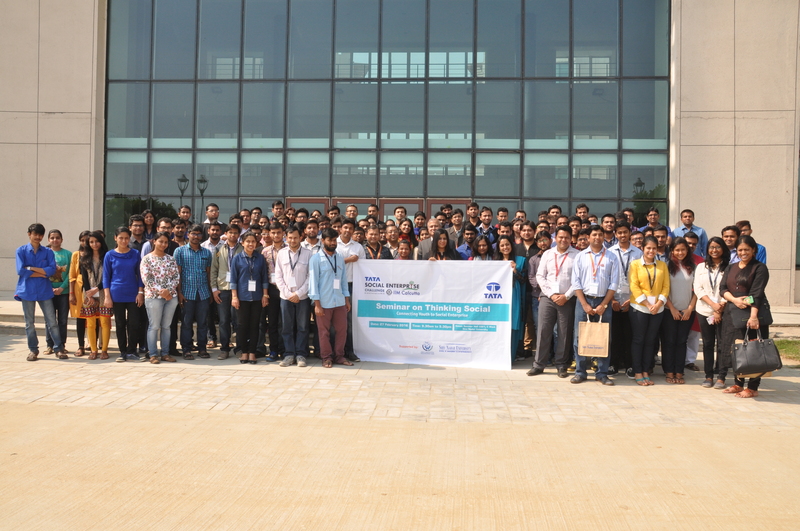 The audience of about 45-50 heads comprised a mix of students of technical institutes in adjoining areas, entrepreneurs in SME sector, aspiring entrepreneurs and faculty from Engineering & Management Colleges. Debapratim, on behalf of IIMCIP, welcomed the participants at the outset and explained the objective of the Invent program and touched on the idea of social entrepreneurship, differences with traditional business and the impact a social entrepreneur can make to the lives of low income group people and to the society for a better living. Suman Mukhopadhyay, Director, Banglanatak.com, a social enterprise and an experienced social entrepreneur himself, then shared his experience on various projects where income-generating business ventures are addressing the need of common people. He also spoke on the challenges faced by a social entrepreneur in scaling up their business, e.g. connect with market, ensuring product quality. 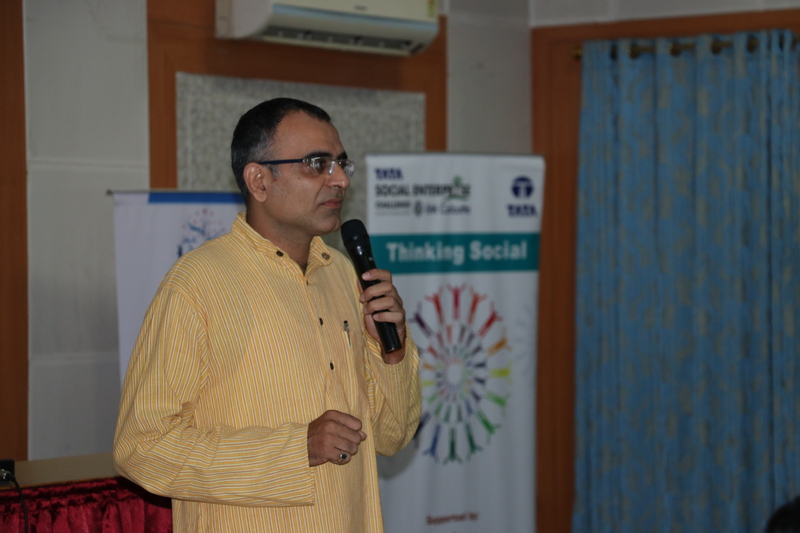 Dr. Subhrangshu Sanyal, CEO IIMCIP, was the next speaker who explained the idea generation process and how to give shape to the idea through Business plan and the steps involved. He emphasized on the must-have traits for an entrepreneur to be successful in business venture and the encouraged the budding & aspiring entrepreneurs to set up their start-ups. Debapratim, then explained the key takeaways & benefits from being part of Invent program and about the application and selection process. Final 30 mins of the seminar was used for Q&A where lots of queries on the Invent program in particular and social entrepreneurship in general were addressed by the speakers. 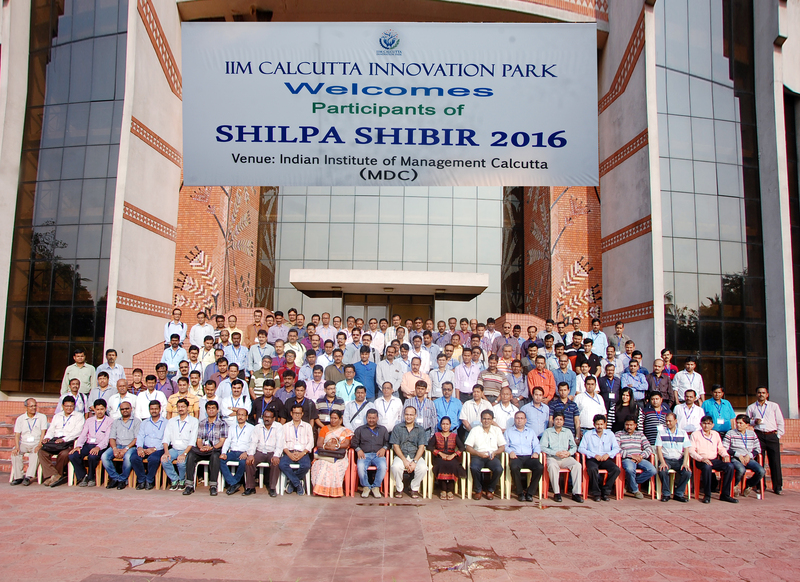 IIM Calcutta Innovation Park is hosting Startup Weekend 3.0 at IIM Calcutta Campus from 5-7 August 2016. Startup Weekend Kolkata is a 3 day event where entrepreneurs, engineers, freelancers, web developers, designers, commerce students and many other people come together. They form small groups of 4-5 members and each group comes up with a startup idea and plan. Three days of brainstorming and on the final day you get to present your startup plan in front of judges, incubators and investors. The Best idea wins and other good ideas find co-founders, investors and other resources. 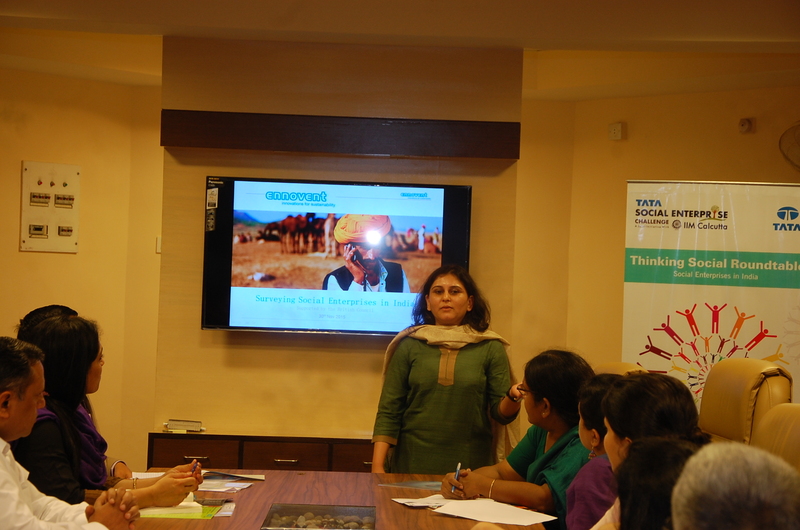 The 6 day entrepreneurship development programme – Nurture 2016 started on 31st May 2016 with 23 participants attending this programme from various parts of the country. The programme included practical tools and techniques to generate innovative product ideas; validate ideas and manage product development process leading to a minimum viable product.The participants had hands-on, practical experience in developing a business plan, preparing a financial model and pitching their ideas live in front of investors and mentors from the startup ecosystem. The participants were given exposure to the different facets of entrepreneurship – Basics of Entrepreneurship, Design Thinking & Product Development Process, Session on Intellectual Property, Branding & Promotion, Digital Marketing, Financial Projections and preparing a Financial Model, Presentation Skills and sessions on How to make an Investor’s Pitch. On the last day some successful entrepreneurs were invited to speak about their experiences in setting up and running a business and the challenges faced by them. 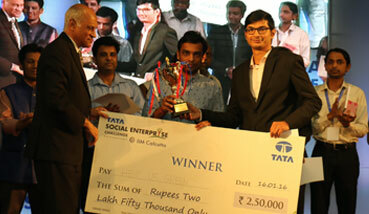 This motivated the participants and inspired them to kick start their entrepreneurship journey. IIM Calcutta witnessed its first ever Jokathon on 21st and 22nd of November. Joka’s very own Entrepreneurship Cell hosted this event and it provided fellow Jokars with an opportunity to give a slight nudge to their big crazy dreams and emerge as full-fledged business plans. Jokathon was conducted on the lines of a hackathon where teams gathered together for 48 hours, brainstormed and transformed a business idea into a well-structured business plan worth presenting in front of investors. Those without any idea but a dream to start-up an organization were welcome to join teams of their liking. 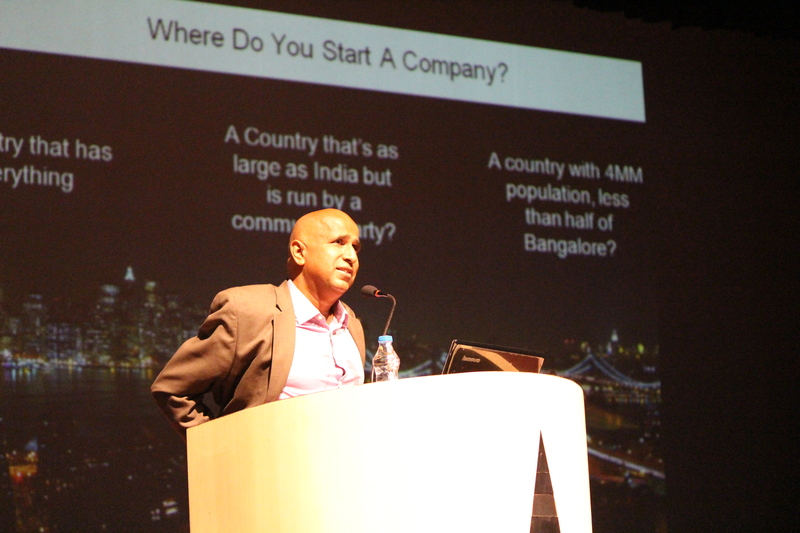 At first teams needed to give a 1-minute pitch showing the crowd the heart of their ideas. The 20 brilliant ideas sure ran a chill down everyone’s spine, as if it was the beginning of a revolution. The teams were then required to present their ideas on a chart paper, basically the coolest ways in which they could showcase their ideas. This phase saw an informal union of people from various backgrounds all working under the same roof. The room was full of breathtaking designs, which were to undergo a round of voting from all present there. This phase was to form 15% of the final score. After all the rush yummy “Wow Momos” & cakes from “Jab We Ate” came to the rescue. The storms of voting passed and then came the mentors, Mr. Mohnessh, Mr. Sanjay Chatterjeee, Mr Subhrangshu Sanyal and Professor Devi Vijay. Whatever doubts the teams had were to be resolved that day, whatever assistance they needed to move forward was to be provided that day. Now the teams were required to form a Business Model Canvas to structure their ideas further. This was 35% of the final score and the deliverable for day 1. Day 2 was the finale where teams were to present their ideas to our jury panelists Kaushik Poddar, Sanjay Chaterjee and Joka’s very own beloved Professors Devi Vijay and C D Mitra. They started off with a briefing on what is required in the presentations and since it was a crisp 15 minutes presentation and 5 minutes Q&A session, mentors were available throughout to help the teams find their path to glory. 22nd November saw the Joka spirit in its full form with a session of awe-inspiring presentations. Everyone emerged as a winner but protocol told us to rank, hence we ranked. 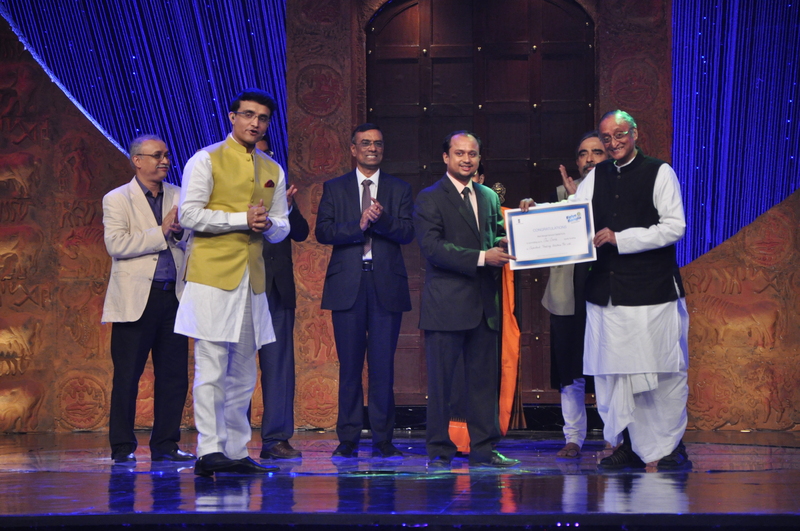 Agrodrivers emerged as the Jokathon winners with Warriors as the 1st runner-up and Paushtik as the 2nd runner-up. Well, rank is just a number in the end of these 2 brain-churning days, if the entrepreneurial light was ignited even in a few hearts, Jokathon can pat its back and rest for a year. 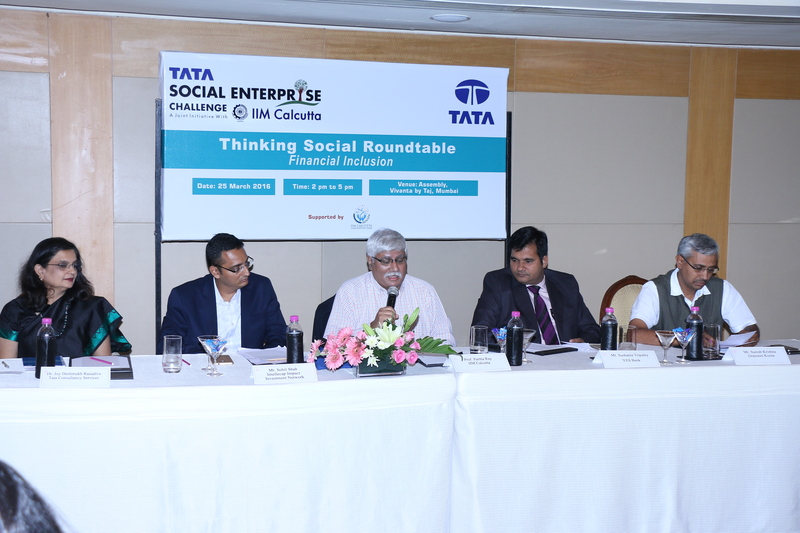 The second Roundtable of the “Thinking Social” series, organized by IIM Calcutta Innovation Park (IIMCIP) and Ennovent, was held on 30th November 2015 at the Indian Institute of Management, Kolkata under the aegis of Tata Social Enterprise Challenge (TSEC) 2015-16. 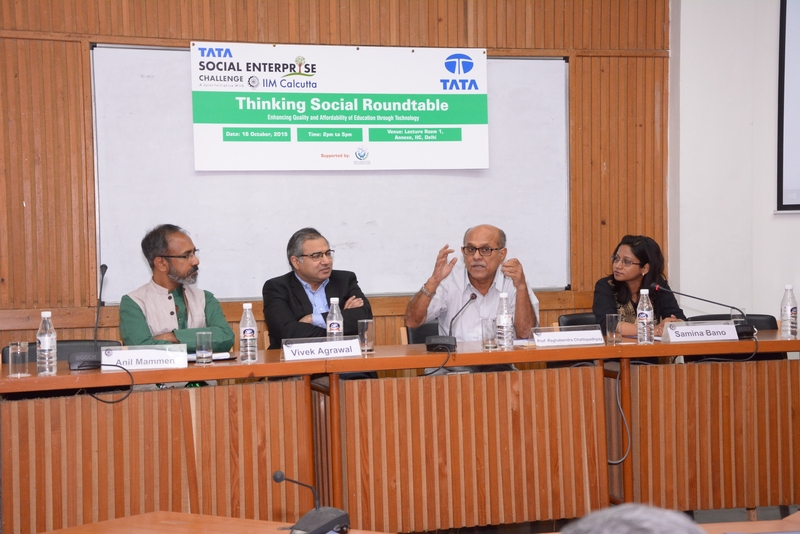 The theme of the Roundtable was ‘”Social Enterprises in India”. The British Council has commissioned a baseline study on the Social Enterprise Landscape in India, which is being conducted by Ennovent. The aim of the study is to provide a summary of the current size and scale of the social enterprise sector and give stakeholders a clear picture of the existing landscape and help them identify areas in which their support is most needed. The aim of the baseline study is to provide a summary of the current size and scale of the social enterprise sector in India. The survey will contribute to the improvement of the social enterprise ecosystem by obtaining currently unavailable numbers on various indicators, giving stakeholders a clear picture of the existing scenario and helping them identify areas in which their support is needed. The objective of the roundtable was to disseminate the findings of the Landscape Survey of Social Enterprises in India captured through survey responses and interviews conducted so far, with a specific focus on East India. The audience mainly comprised of eminent social entrepreneurs, academicians and NGOs mainly from the Eastern part of the country. The panel discussed that a lot of innovative business models exist at the ground level but they often go unnoticed because they do not have access to communication services like the internet. They also decided to do a search on the operational presence of SEs and conduct the survey in regional languages. The panel decided that methodology of framing sectors need more work as there are alot of activities which were not talked about. It was also pointed out that there should be a break up of skill development activities into non-farm livelihood and non-traditional livelihood. Discussions took place regarding the lack of skilled manpower and training institutes is the biggest challenge for social enterprises. Also, there needs to be a more focussed sectorial analysis which needs to be carried out so that it gives us the dta about the most emerging areas in the SE space. The survey should add an option of Lack of Training and Skill development institutes under the barriers to growth. It should also remove Micro Finance Institutes from the database. A proper definition about Social Enterprise must be formulated which would define the enterprise as a business which aims to be financially viable and creates an impact for the people at the BOP. 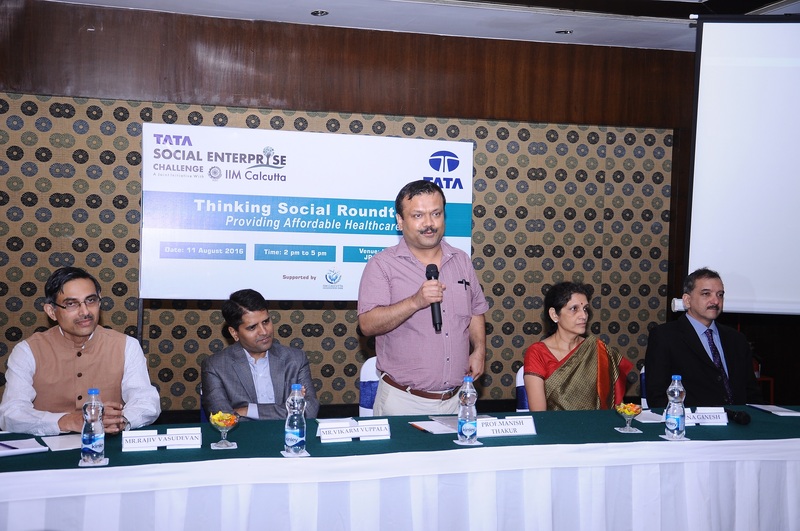 The first event of the “Thinking Social” series of roundtables, organized by IIM Calcutta Innovation Park (IIMCIP), was held on 16th October 2015 at the India International Center, Delhi under the aegis of Tata Social Enterprise Challenge (TSEC) 2015-16. The theme of the Roundtable was ‘”Enhancing Quality and Affordability of Education through Technology”. The discussion was centered on three broad themes – Quality, Access, and Affordability of education for the masses. The overarching focus was the use of technology in meeting these three objectives. 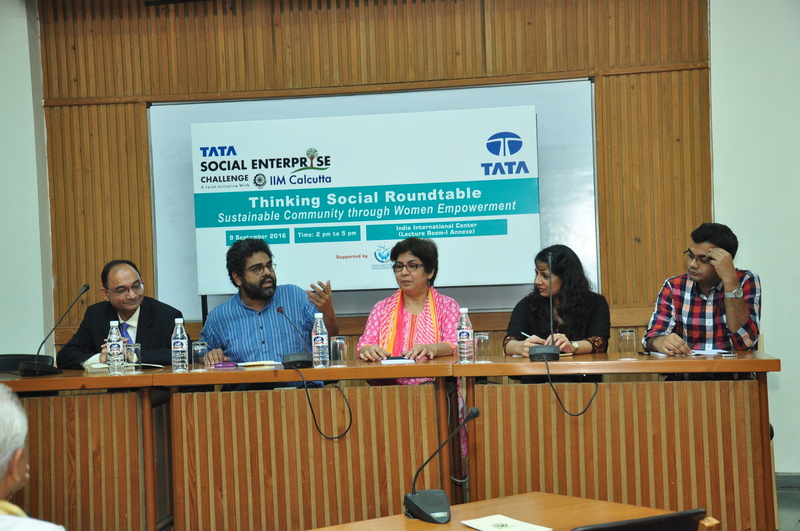 The thematic Roundtable included an overview on Thinking Social, an interactive Panel discussion followed by Q&A and presentations from two social entrepreneurs working in the education domain. The speakers for the day comprised eminent entrepreneurs and academician who have rich experience in the Education sector in India. 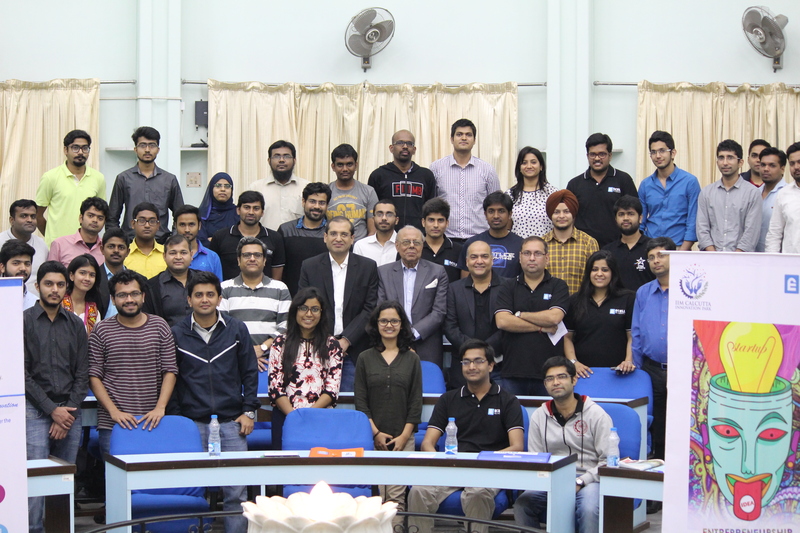 The audience (a strong presence of 40 participants) comprised of Professionals, entrepreneurs, Impact investors, innovators, NGOs and students mainly from the Education sector. 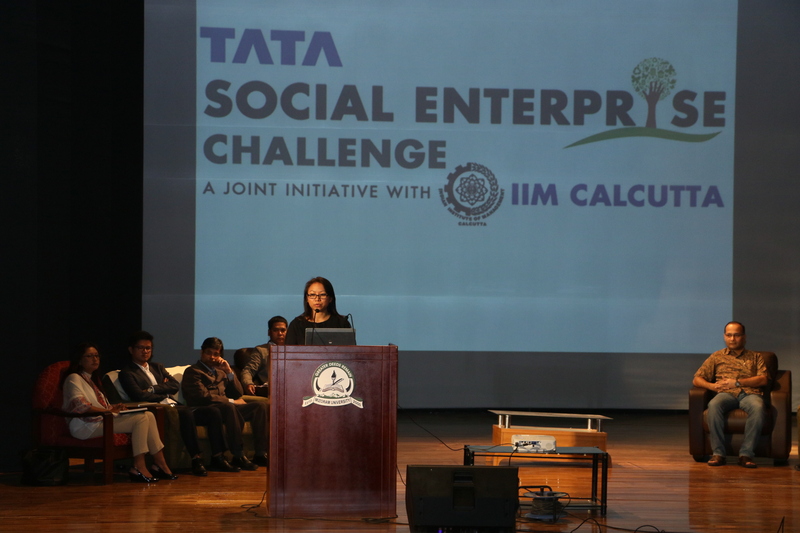 In the inaugural session, Subhrangshu Sanyal – CEO, IIM Calcutta Innovation Park introduced the theme and shared with the audience IIMC’s journey on entrepreneurship, IIMCIP’s vision & activities and how TSEC emerged as one of the biggest platform for the social entrepreneurs in India. Prof Raghabendra Chattopadhyay, IIM Calcutta moderated the Panel discussion and requested all the Panelists to share their thoughts on the challenges and opportunities around the theme.